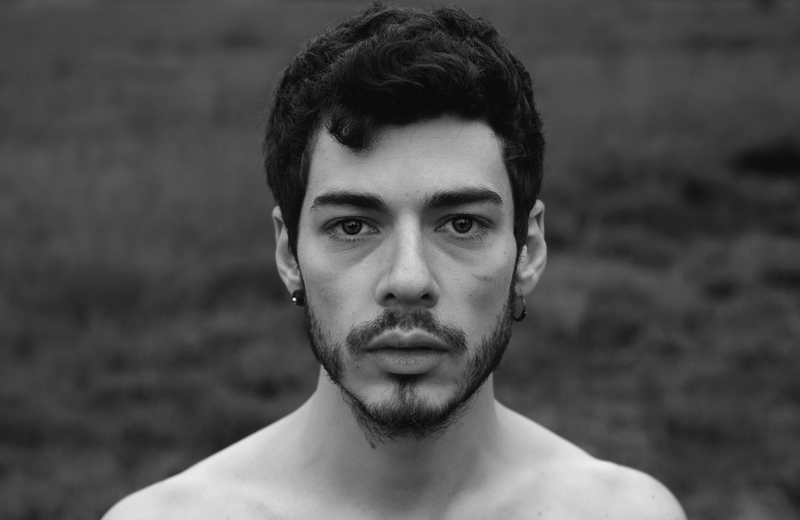 Moreno Perna (1989) is an Italian performer and choreographer based in Amsterdam. After graduating at the Amsterdam University of the Arts, he worked with Jan Fabre between 2014 and 2018, as part of the casts of “Mount Olympus - to Glorify the Cult of Tragedy” and “The Power of Theatrical Madness”. He also works as a nightlife performer under the name of Vortex X. His body of work focuses on the subject of identity as a cultural construct and how to find what is deeply and intrinsically humans behind social masks, through means of movement and spiritual research with his “Auratic Practice”. In collaboration with Dansmakers Amsterdam, he created two performances: “LDRC”, about the weird world of The Internet, and “XYX”, a performance about Gender identity. Moreno is now busy with the research of his new project "AURA", which has been supported with artistic residencies and co-productions by Dansmakers Amsterdam, ICK Amsterdam and De Brakke Grond.